Noe Valley residents unhappy with the plan to try a pedestrian plaza on 24th got an argument taken away from them when merchants voted to unanimously support the plan. 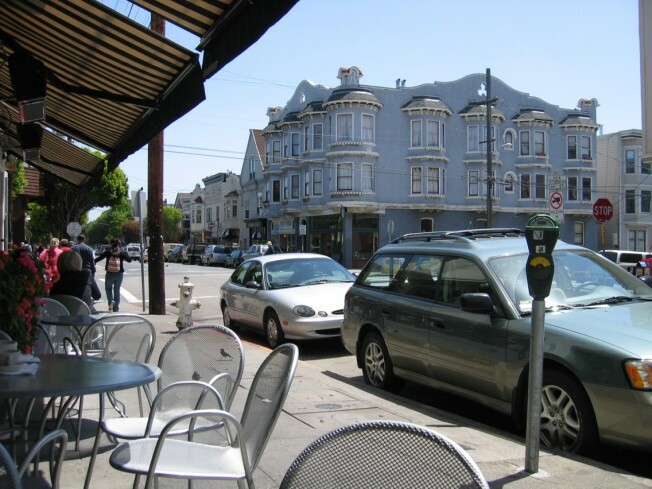 In a very, very rare case of "YIMBY"ism in San Francisco, the Noe Valley Merchants and Professional Association has unanimously voted to support San Francisco's plan to close a section of Noe Street to automobile traffic. "YIMBY," or "yes in my backyard," is the catchy phrase urban planning wonks have taken up as a counter to NIMBY sentiment. The idea is to create a small pedestrian plaza near the increasingly popular commercial corridor. Neighbors who are still in the thrall of their gas-guzzling automobiles are still not pleased, with commentators on Noe Valley SF arguing it would only increase traffic. Wonder if those same neighbors would support a freeway through the area to alleviate car congestion? The initial trial would last 90 days, though the NVMPA says that it even supports making it permanent. The trial is part of the "Pavement to Parks" initiative, and has the backing of the City's Planning Department. Jackson West figures a pedestrian plaza would actually give him a reason to visit the area.